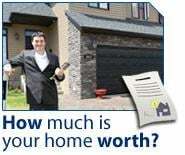 FIND OUT WHAT YOUR HOME IS WORTH FROM THE MARKET EXPERT! If you want to sell a property or business for its maximum potential you need to know its Current Market Value and your local market competition/trends. Fill out the Home Evaluation form and I can give you a professional Market Analysis of your home and your local housing market for free. This will set you on the fast track for planning your next move!